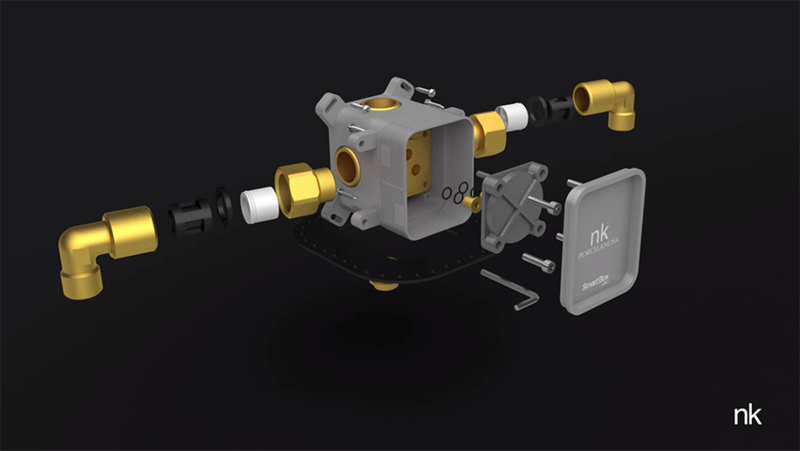 Noken, the company that is specialised in bathroom equipment at PORCELANOSA Group, has developed a built-in program for different tap models in order to facilitate the installation of built-in shower systems. 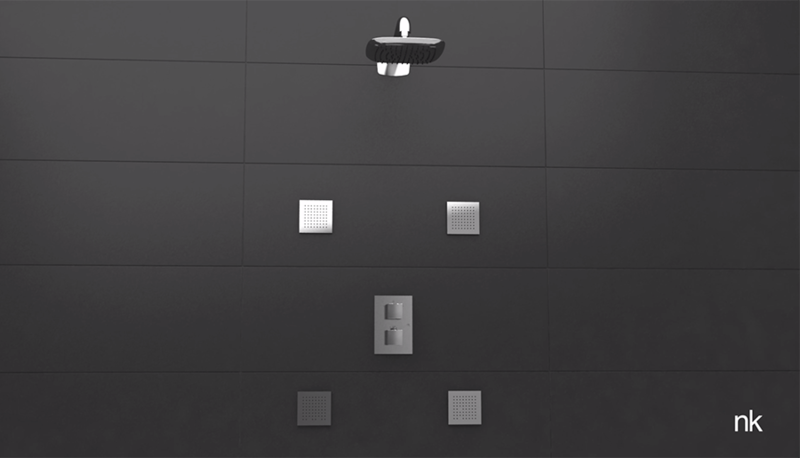 Smart Box is a practical solution for quickly and easily installing a wide variety of shower taps by Noken, achieving attractive aesthetic finishes as the system is concealed behind a wall. Tap systems are concealed inside a box, thereby reducing the noise of running water through the pipes. Moreover, it adapts to all types of surfaces, and can be installed in solid walls (directly or remotely), plasterboards (with or without rear access) and is compatible with deep walls. 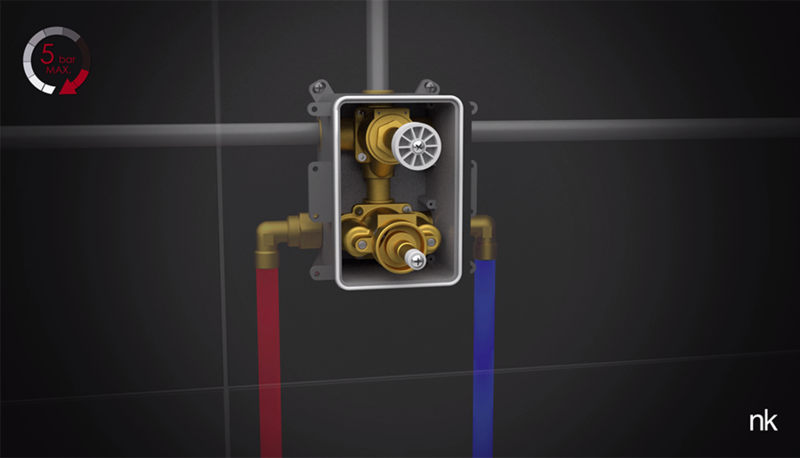 Smart Box Uno, Vario and Termo are three models which create this new range of built-in shower systems: UNO is for systems with just one outlet, VARIO for two or three water outlets and Smart Box TERMO is a thermostatic version with up to three water outlets. 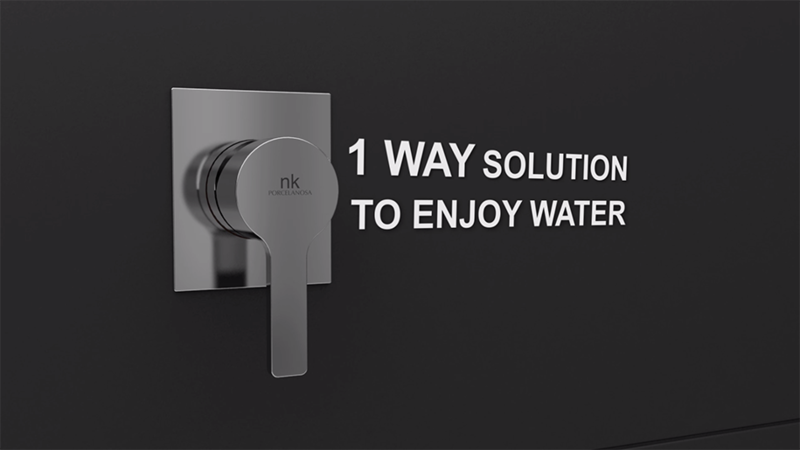 The three systems easily adapt to the different tap collections for showers by Noken. In the following videos you can see how easy it is to install the three Smart Box models on different types of surfaces.